Elder Care in Novi MI: Caring for a senior citizen is stressful. When it's your own parent, it can seem unbearable. If you've ever talked to a family caregiver, there are some really frightening stories. Continue reading What Can You Do When the Stress of Providing Senior Care Seems Unbearable? at No Place Like Home Health LLC. Home Care Services in Livonia MI: Speech problems such as a voice that is softer or speaking that is harder to understand are common issues among those with Parkinson's disease. In fact, these voice and speech problems are often some of the earliest symptoms or difficulties those living with this disease. Continue reading How Can You Help your Parent Cope with Speech Problems? at No Place Like Home Health LLC. 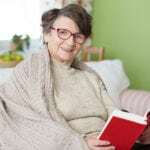 Homecare in Livonia MI: Reading is not only a wonderful, relaxing way for older adults to pass time, it’s also good for their health. Studies have shown that people who read for just half an hour day live two years longer than non-readers on average. Continue reading 5 Paperbacks for Seniors to Celebrate Paperback Book Day at No Place Like Home Health LLC. Home Health Care in Farmington Hills MI: When living with Parkinson's disease, your aging parent will experience challenges and difficulties in completing basic daily tasks. This does not mean that they are struggling with cognitive deficiencies or that they are no longer able to manage any of their needs on their own. Continue reading What Adaptive Devices, are Available for a Senior with Parkinson’s Disease to Help with Mealtime? at No Place Like Home Health LLC. Home Care in Northville MI: Coordinating the care your aging parent needs is already a challenge. Your mom doesn't drive, so she needs rides to stores and appointments. Your dad can't cook, so someone needs to prepare his lunches and dinners. Continue reading What Are the Four Most Common Clashes Family Caregivers Deal With? at No Place Like Home Health LLC. 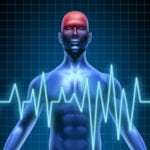 Elderly Care in Livonia MI: Heat stroke is terrifying and it's something that your elderly family member might be more susceptible to. 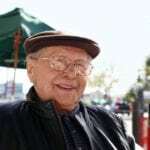 Continue reading What Can You Do if Your Senior Is Experiencing Heat Stroke? at No Place Like Home Health LLC. Home Health Care in Novi MI: As a family caregiver, it is your priority to help your parents stay healthy, safe, comfortable, and happy as they age in place. This means devoting your time, energy, efforts, and resources to fulfilling their needs, and supporting their quality of life. 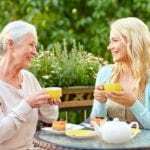 Continue reading Tips for Caring for Yourself During Your Caregiver Experience at No Place Like Home Health LLC. Home Care in Livonia MI: No Place Like Home Health would like to recognize the following employees for their hard work and dedication to our family of clients and caregivers. 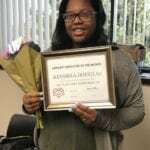 Continue reading No Place Like Home Health Celebrates our Employees at No Place Like Home Health LLC. Senior Care in Redford MI: Going on vacation with your aging loved one can be a fun way to spend quality time together, shake up your routine, make memories both of you can cherish, and strengthen your relationship. 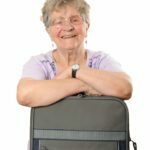 Continue reading Tips for Helping Your Senior Pack for Vacation at No Place Like Home Health LLC. 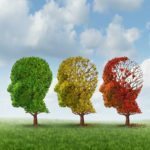 Homecare in Dearborn Heights MI: Memory loss can be extremely difficult for your aging adult to cope with on lots of levels, including emotionally. Continue reading How Can You Help Your Senior Family Member Cope with Memory Loss? at No Place Like Home Health LLC.